GUELPH, Ontario – Earlier this year, hundreds of educators in the Upper Grand DSB signed up to take part in an innovative, online professional learning opportunity, TechQuest 1.0. Due to the success of TechQuest 1.0, event organizers are running a second quest this year with TechQuest 2.0. This quest is expected to be bigger than any of the previous TechQuest challenges. Tech Quest 2.0 is a series of tasks framed as challenges. These challenges have participants using the Google Tools necessary for effective and accessible technology integration. While the focus is on learning for all, the tasks also spotlight how these tools support learners whose needs are best met though assistive technology in the classroom. Challenges are designed to encourage educators to use their current lesson ideas and activities. By doing so, they build their capacity to apply new learning and move toward everyday classroom use of accessible modern tools. What makes TechQuest 2.0 different from previous versions of TechQuest are the challenges. This time, challenges will be harder and different from previous challenges. Challenges are more interactive, creative and reflective when compared to previous quests. The goal of having challenges that are more reflective is to allow educators to dig deeper into the technology they are using in the classroom and reflect on how it can be better used by students and educators. More than 200 UGDSB staff have signed up for the quest. The quest is designed to allow any staff member, teaching or support, to be successful when looking at the challenge. The advantages to participating in the quest for support staff include getting a firsthand look at how these technologies are used in the classroom and allows the behind the scene individuals to see their impact on student learning. 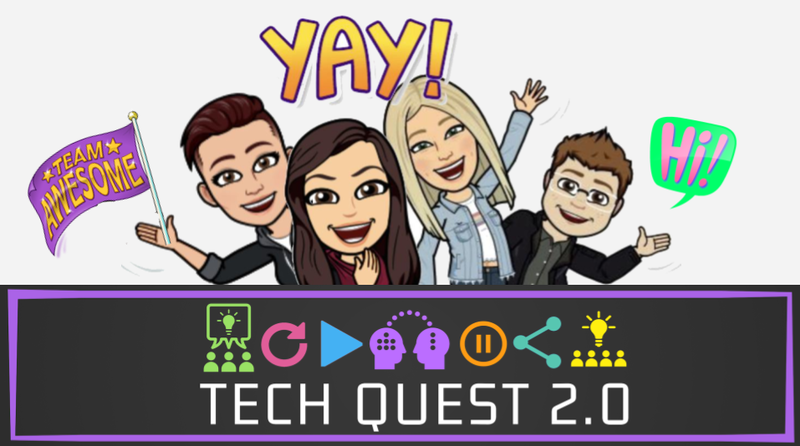 April 12 is the last day to sign up for TechQuest 2.0. To register for TechQuest 2.0, please visit the TechQuest 2.0 registration website.